March 19, 2019 March 19, 2019 Posted in California. (More catching up from October 2017) It’s good we planned to splurge a little on our first California winery trip. Thrifty, savvy and sophisticated were not attributes we possessed, but we certainly had fun! 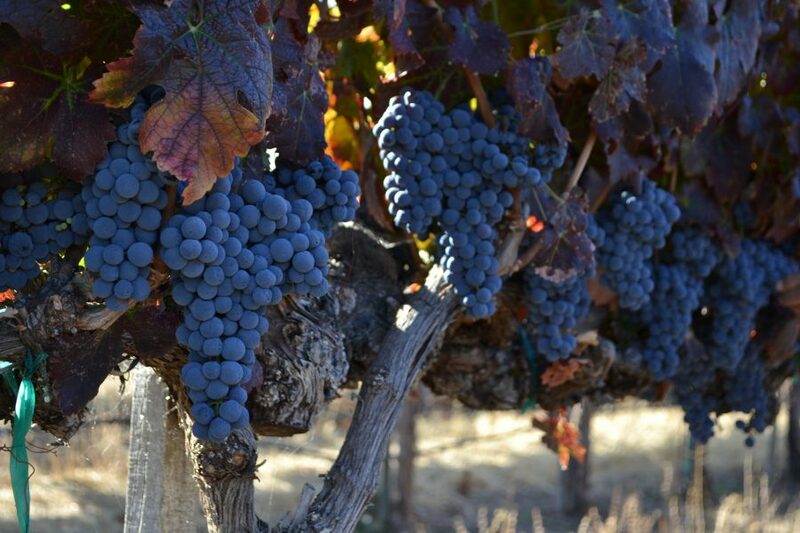 We planned to visit just a few wineries and consulted with the leader of our wine tasting group about where to go and what to look for. Steve went above and beyond by setting us up with a personal tour of the Joullian Vineyards & Winery in Carmel Valley, California. We were certain we had taken a wrong turn somewhere along the hour’s drive on narrow, hilly, windy roads heading inland from the coast. Once we remarkably found the entrance, we still had to drive up a very narrow, twisty stone-lined drive. We learned that some truck drivers delivering supplies and carting away the product have been “reassigned” to other businesses after not adequately negotiating the drive. The winery building sits up on a hill overlooking the vineyard. Our visit turned out to be the day after a wine pressing. Most of the staff had the day off because of the late night finishing up the pressing. Our guide drove us down into the vineyard where we were invited to pick and taste grapes from several different varieties, noting the difference in the hue of the leaves as well as the grapes themselves. Back in the winery building, we tasted (and spit out) chardonnay that was freshly pressed as well as some that was a few weeks old. 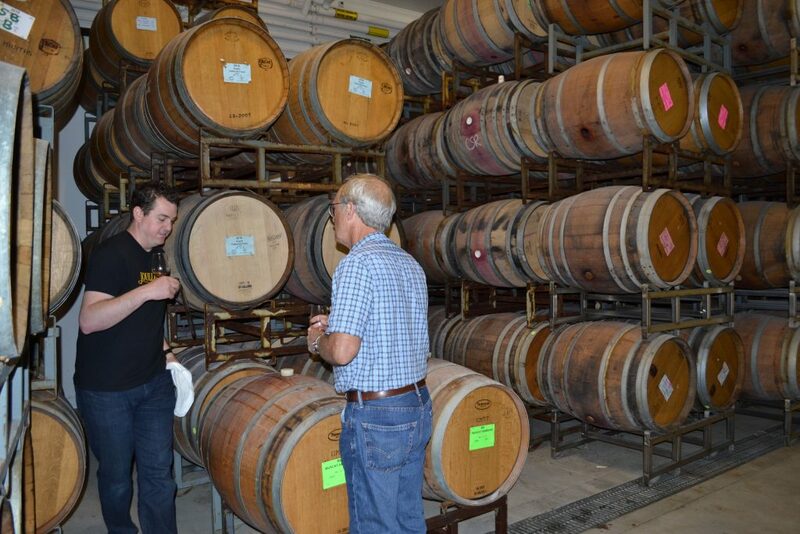 We escorted through the various rooms of the winery where different varietals were aging in casks, watched an intern climb to the top row of barrels to stir the contents in each barrel, and sipped a special vintage that was taking its time to age. After the tour, we dove to Carmel Valley Village where we had a lovely luncheon at Café Rustica, then visited the Joullian tasting room. We of course bought an embarrassing amount of wine to ship back home. Having had such a wonerful day touring the vineyard, each time we open a bottle, it tastes all the better! The next day, we traveled farther inland to the flat valley of the Arroyo Seco River, passing fields and fields row crops, such as lettuce, broccoli and strawberries. 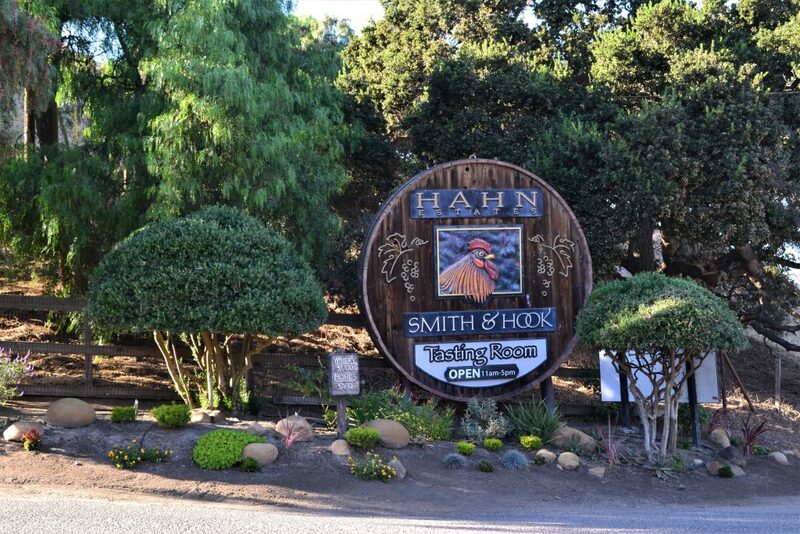 The Hahn Estates and Smith & Hook wineries share a tasting room that sits up in the deeply etched foothills near Soledad. 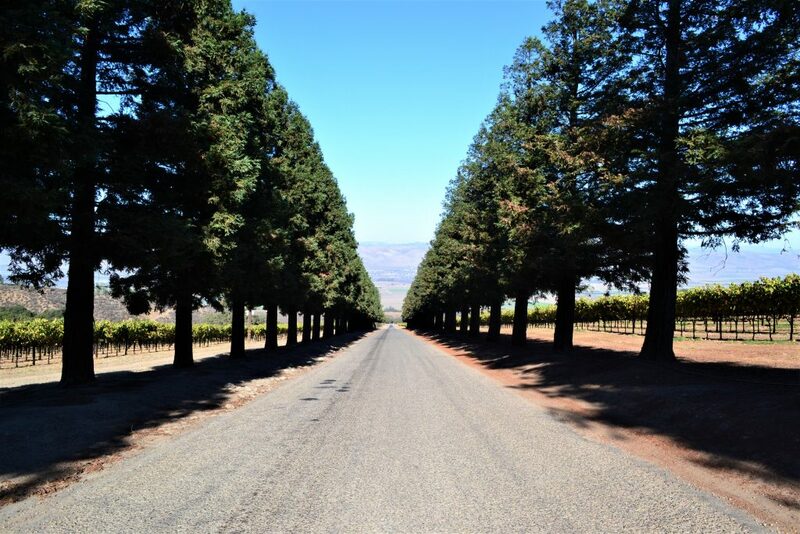 The drive pasts the entrance up to the tasting room is beautifully tree lined. 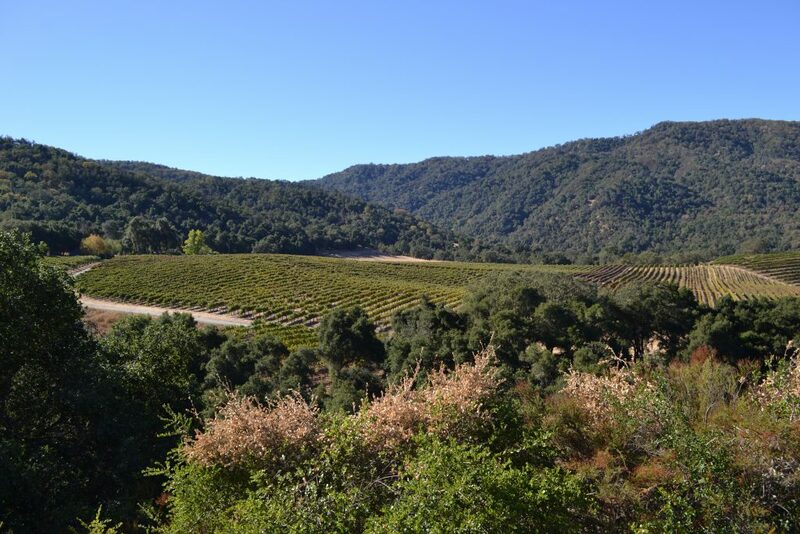 The tasting room overlooks the vineyard, sloping gracefully down the hill into the distance. Alejandro, the friendly and dignified tasting room ambassador with an elegantly waxed and curled mustache, enticed us to taste, then purchase, quite a few lovely wines. We were perfectly aware that we were being charmed into buying more than we had planned, but he was so gracious and warm that we didn’t mind at all. 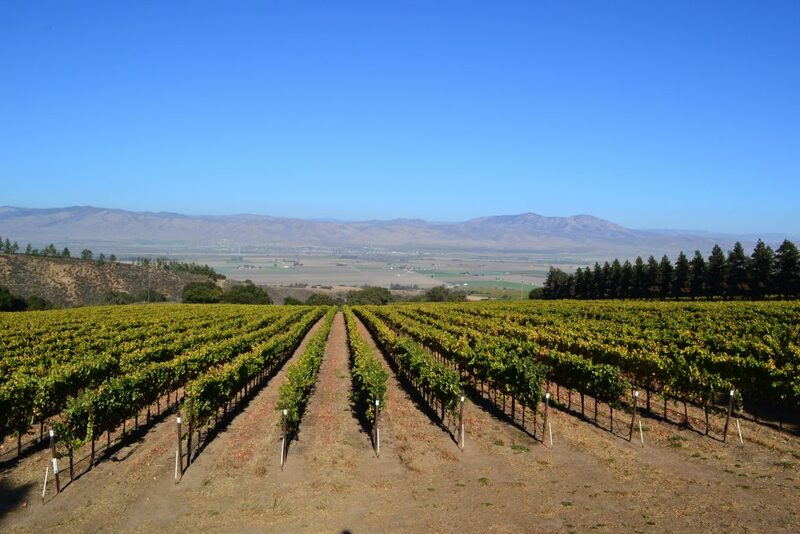 From our quite limited experience, it seems unlikely that purchasing wines directly from wineries and wine tasting rooms will result in any cost savings whatsoever. However, if you take into consideration that each sip of the overpriced wine from your trip will bring back fond memories, it doesn’t seem so bad.